Graduation is here for Polk State’s 3 Collegiate High Schools— a major life experience for most students, but even more special for those graduating with both their high school diploma and an Associate in Arts degree. 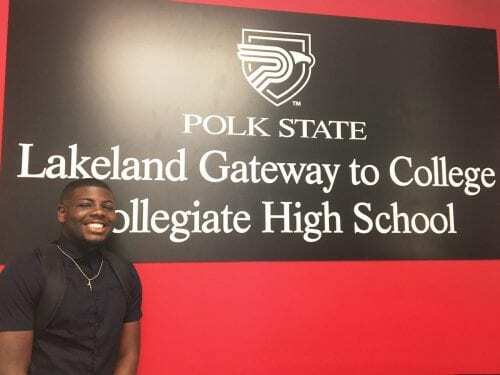 Polk State Lakeland Gateway to College Collegiate High School will graduate its fourth class on Wednesday, May 24 at 6:30 p.m. at the Polk State Center for Public Safety Auditorium, 1251 Jim Keene Road. 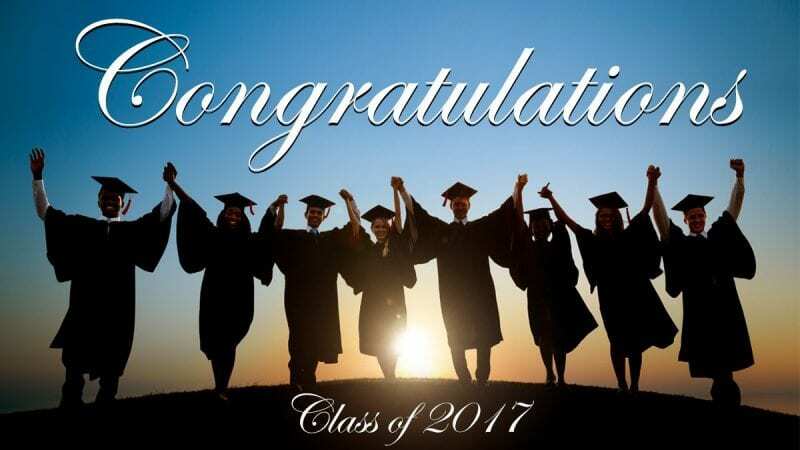 Polk State Chain of Lakes Collegiate High School will graduate its 10th class on Thursday, May 25 at 5:30 p.m. at the Polk State Winter Haven Health Center, 999 Ave. H, N.E. 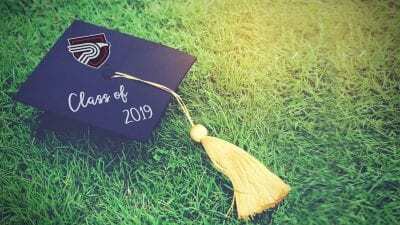 Polk State Lakeland Collegiate High School will conclude the high school commencement schedule on Tuesday, May 30, at 6:30 p.m. at the Polk State Winter Haven Health Center, 999 Ave. H, N.E. 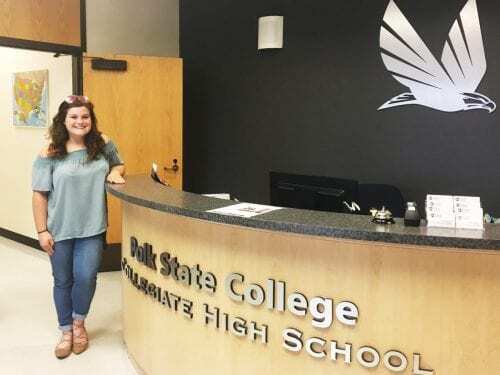 All three of Polk State’s collegiate high schools allow students to simultaneously complete high school requirements and earn college credits. In many cases, students graduate with both their diplomas and Associate in Arts degrees. 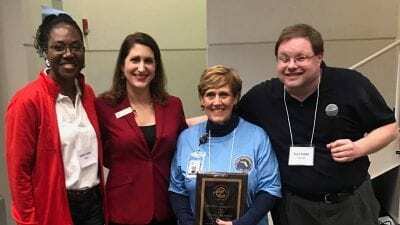 Polk State Lakeland Gateway specializes in helping students between the ages of 16 and 21 who have, in most cases, disengaged from studies at their traditional high schools. Cumulatively, graduates have earned more than $2 million in college scholarships. Members of the class will continue their education at colleges and universities across the country, including Alabama State University, Florida Gulf Coast University, Florida State University, New College of Florida, Nova Southeastern University, Palm Beach Atlantic, Polk State College, University of Florida, University of New England, and the University of South Florida. Each of the schools are proud and excited about the 2017 class. At Chain of Lakes, student Joseph Gallo was a little nervous at first coming to the high school from Auburndale High School, but the challenge quickly became an incredible opportunity for him. Indeed, Gallo feels even more prepared for college after attending Chain of Lakes collegiate high school. 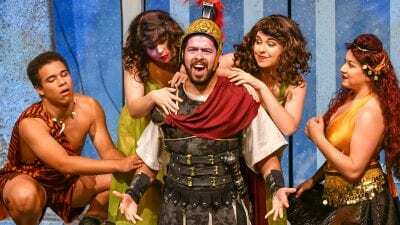 He will graduate with an Associate in Arts degree, along with his high school diploma providing him with a leg up on his peers. Gallo intends to attend the University of Florida with a focus in the medical field— radiology, biomedical engineering or healthcare. Steven Berto was born in Haiti and moved to Polk County as a young boy. In 5th grade, he was awarded the Polk State Foundation Fancelli Family Future Leaders Scholarship, a fund established in 2001 to help young students develop a mindset for college several years in advance. 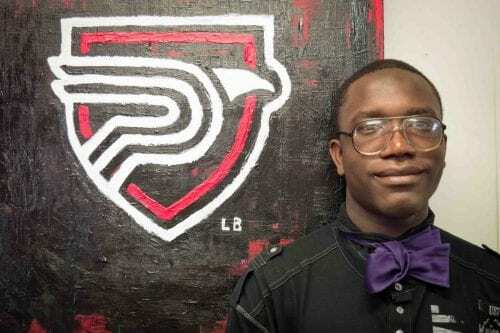 He chose to enter Chain of Lakes High School to advance his college dreams by capitalizing on the ability to earn his AA degree while attending high school. As 1 of 4 children, it was a blessing for his family to have that option. Berto, who attends school full-time and works part-time at a local Dollar General, also credits the staff and professors of Polk State Chain of Lakes Collegiate for his success in high school and in college. Steven is considering either the University of Central Florida or the University of Florida with a desire to study technology— computer science, game development or graphic design. For Abby Campbell, at Lakeland Collegiate High School, the decision to attend the high school was a spontaneous one. Campbell quickly became immersed in life at the Lakeland campus. She joined several clubs and organizations and credits those with her positive and rewarding experience. Serving as a dental assistant in two local dental offices, and now armed with her Associate in Arts degree, Campbell plans to attend Florida Southern College to study biomedical sciences to become a dentist. 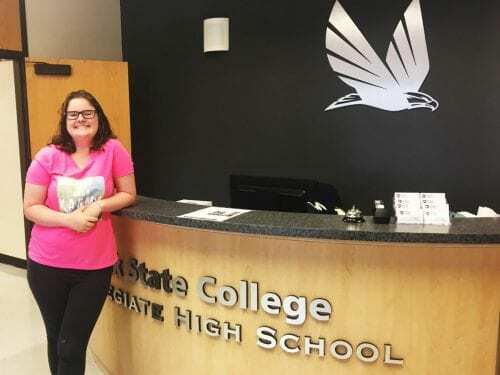 Since she is the youngest in her family, Regan Caron’s parents influenced her decision to attend Lakeland Collegiate and get a jumpstart on her two year degree. Her grandmother, who lives with her family, also had a strong role in encouraging her to attend the high school. Lakeland Gateway to College Collegiate High School was just the place for graduate, Austin Dixon. He attended Bartow High School but did not seem to find his place, so Dixon first applied to Lakeland Collegiate. Soon after, administrators found that Gateway was an even better fit for Dixon and he quickly enrolled. Working part-time at a local fruit stand and attending school full-time, Dixon found support, encouragement, and accountability with administrators, staff and professors. Dixon will graduate with his diploma as well as an AA degree. His mom could not be more proud of his accomplishments. Dixon wants to attend Florida A&M University, where he plans to major in Communications or Journalism. His future goal— to become a sports commentator. Polk State College operates three public charter high schools, including Polk State Chain of Lakes Collegiate in Winter Haven, Polk State Lakeland Gateway to College Collegiate, and Polk State Lakeland Collegiate. All three high schools allow students to fulfill requirements for their diplomas while also earning college credits. To learn more, please visit polk.edu/charter-high-schools/.